See you for a run around tomorrow on the Mall, 6pm, 17th & Constitution (by the trees). I’ll bring a ball but remember I don’t have the cones! I have the cones, and I will bring them! 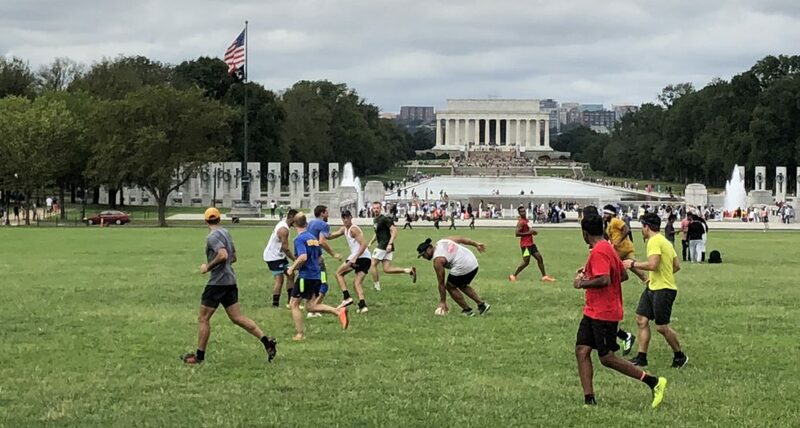 Visiting DC and I would like to get a run in. What is the best route to your pitch from Fed center metro stop area? Hi Rachelle, of course you are welcome. We post the day before each session to let you know if it’s on or not, the time and place (because it’s weather dependent). So just keep an eye out on Friday and we will let you know!